Your message has been sent to Rodney Burutsa. Like authorSTREAM? Give us a +1! 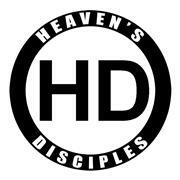 Rodney Burutsa is the founder and President of Heaven's Disciples®, a multimedia-based company featuring Christian urban entertainment in music, comics, video games, films, books, and fashion.